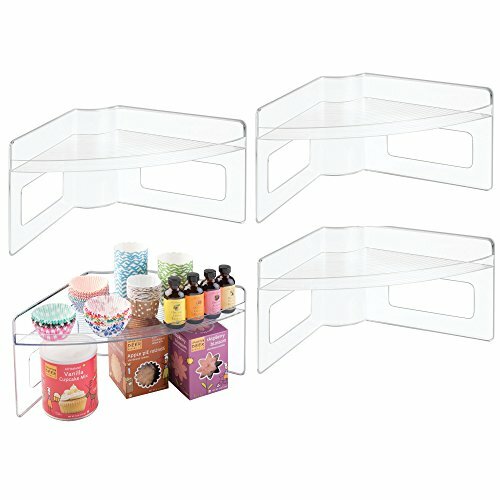 Maximize your kitchen storage space with the Lazy Susan Storage Shelf from mDesign. The compact corner design creates vertical, two-tiered storage, without cutting into much needed cabinet or counter space. Use these in Lazy Susan cabinets, create a complete circle with four, or on kitchen counter tops to store canned or boxed food, jars and more. The built-in handles make it easy to move in and out of cabinets to make cleaning and rearranging simple! View More In Lazy Susans.